‟LA MODE ‘’ is a fashion and life style magazine that is out to wow readers on a quarterly basis with so much exciting topics and interesting designs from fabulous designers. We publish both print and E-Copies. 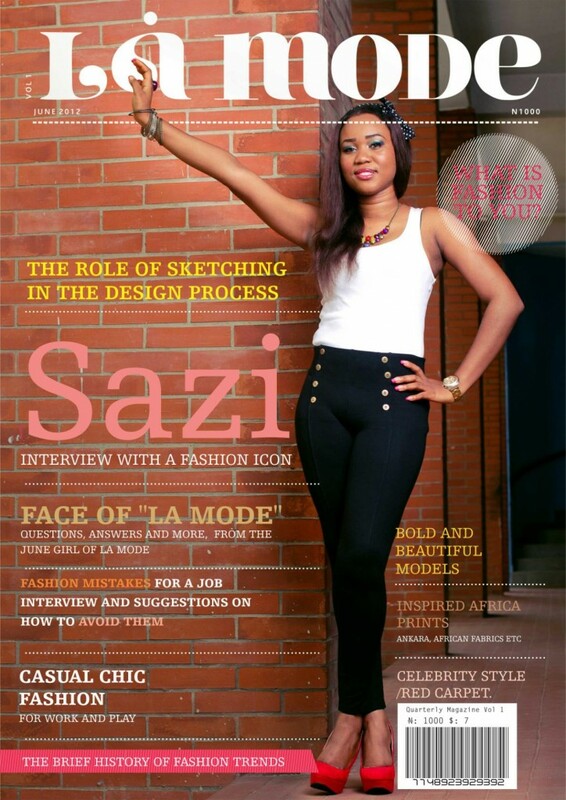 La Mode Magazine promote talents in the entertainment and modelling profession. 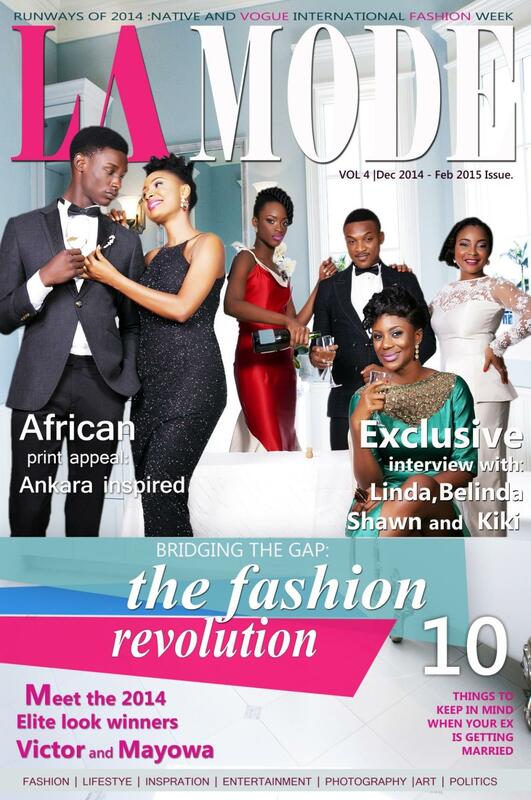 The headquarters of La Mode Magazine is in Lagos, Nigeria. We are out to make statement in the fashion world with our unique articles and packaging in place. 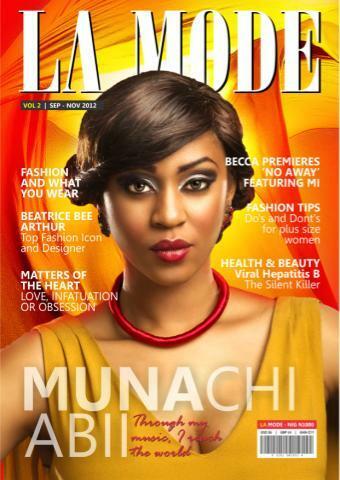 Our image will clue our readers into what ‘’LA MODE’’ magazine is all about and make our brand more recognized locally and internationally. Our aim is to maintain a certain image, not only will we be recognized but we will also be in the mind of our readers (which, for us, is the most important thing!) It is not just about fashion. It is about wearing your statement on your sleeve. 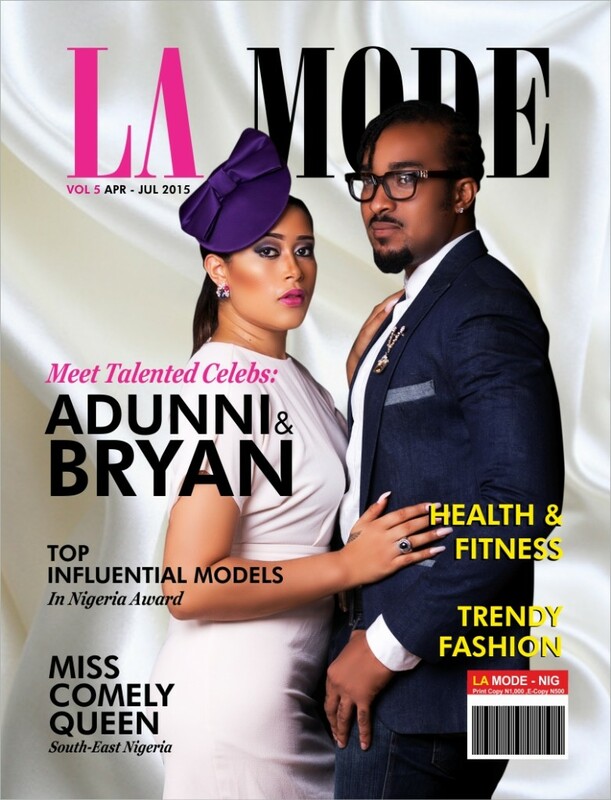 It is not just a magazine publishing company; La Mode is into Entertainment PR/Online PR services, organizes and manages events, Train and groom models also involves in online contests and pageantry and all forms of media services. 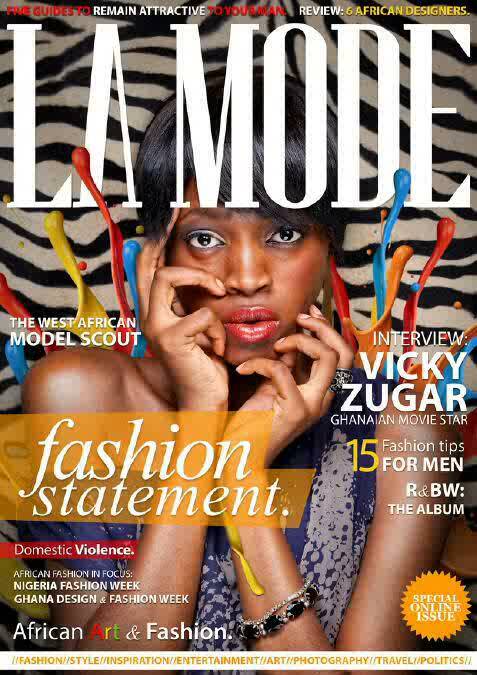 Sandra Odige is the Founder, Editor in Chief of La Mode Magazine and publisher.